We offer endurance coaching, camps and events for adults, kids and corporates. We aim to get everyone age 8 to 80 active through swimming, biking and/or running. 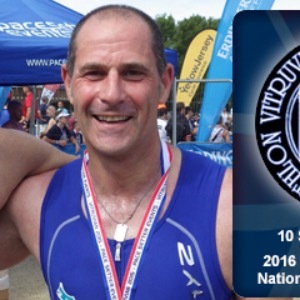 Tri One’s Howard Davis is a life-long triathlete is a BTF certified triathlon coach. Howard is the founder of Tri One and his aim is to get as many people young or old involved in the world of triathlon and multi-sport. Howard did his first Triathlon in 1997, the inaugural London Triathlon and since then has taken part in many races of all distances. He has completed 14 Ironman races in Lanzarote, Austria, France, Germany, Switzerland, USA and South Africa. Howard took part and completed the first Double (2008) and Triple (2010) ironman distance races to take place in the UK. A BTF level1 triathlon coach and will be taking his level 2 in 2016. Howard has coached both adults and children and was instrumental in developing the junior section at Tri-Force.H e coached Sir Rocco Forte to compete at Ironman Austria where he secured a coveted slot for Kona, Hawaii. For a number of years he held the post of Chairman for Tri-Force and was the race director for the HSV Triathlon. Over the past 5 years he has run a number of holiday camps and after school clubs at Schools. Success. Coach Howard Davis has been notified of your message.